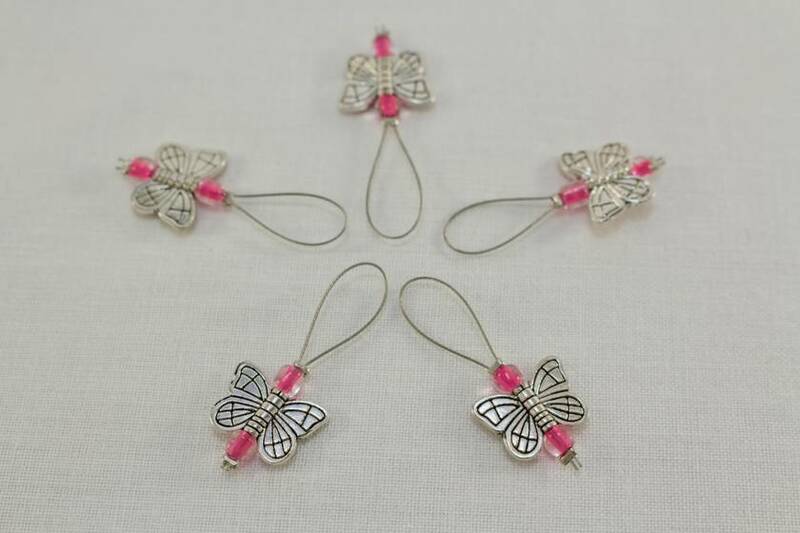 Keep track of important spots in your knitting patterns with this lovely set of 5 metallic butterfly knitting stitch markers. 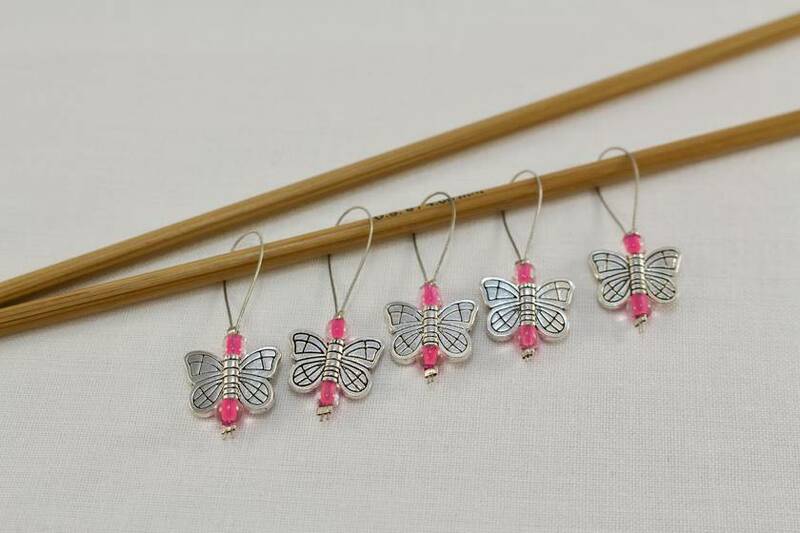 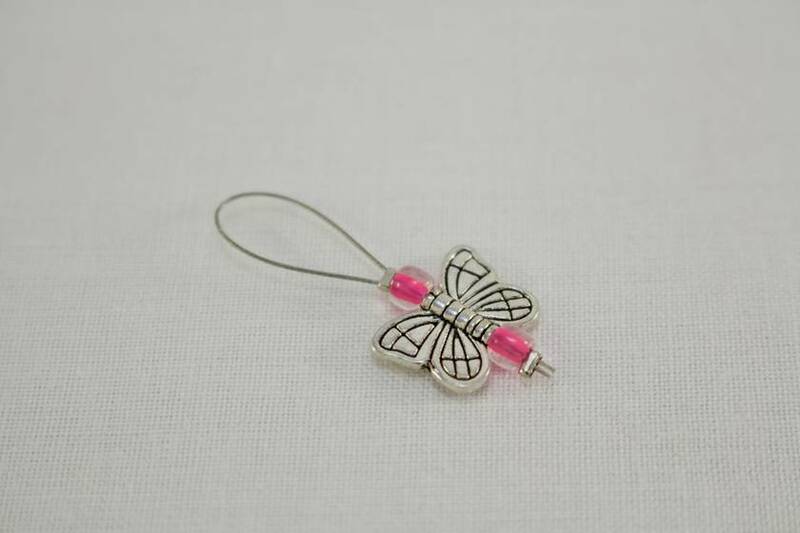 The stitch markers feature beautiful metal butterflies and bright pink seed beads, and are made using snag free silver tigertail loops which will fit up to a size 7 mm knitting needle. 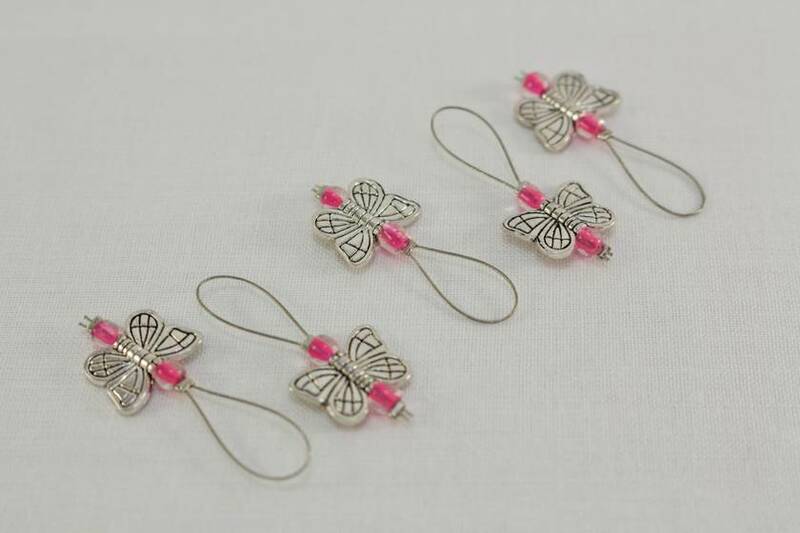 them you’ll know they’re somewhere safe.